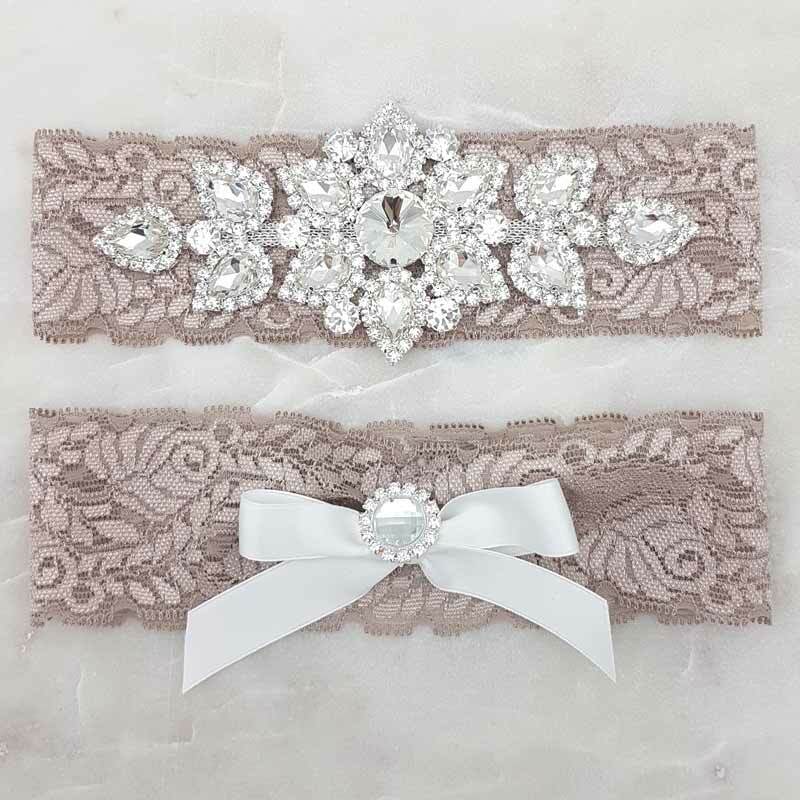 Our ‘Audrey’ garter set is a favourite, made from stretch lace with a stylish genuine crystal and rhinestone detailing. 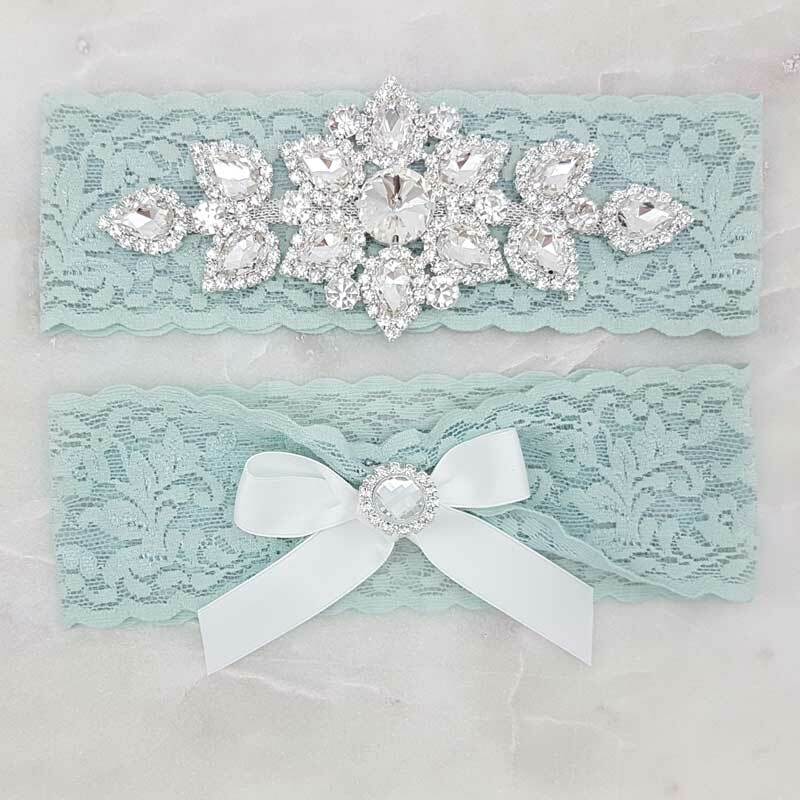 The Keepsake garter features a bold silver crystal and rhinestone applique 14cm wide x 6.5cm tall while the throwaway garter features a gathered centre with a double sided satin ribbon bow with an rhinestone button to detail. 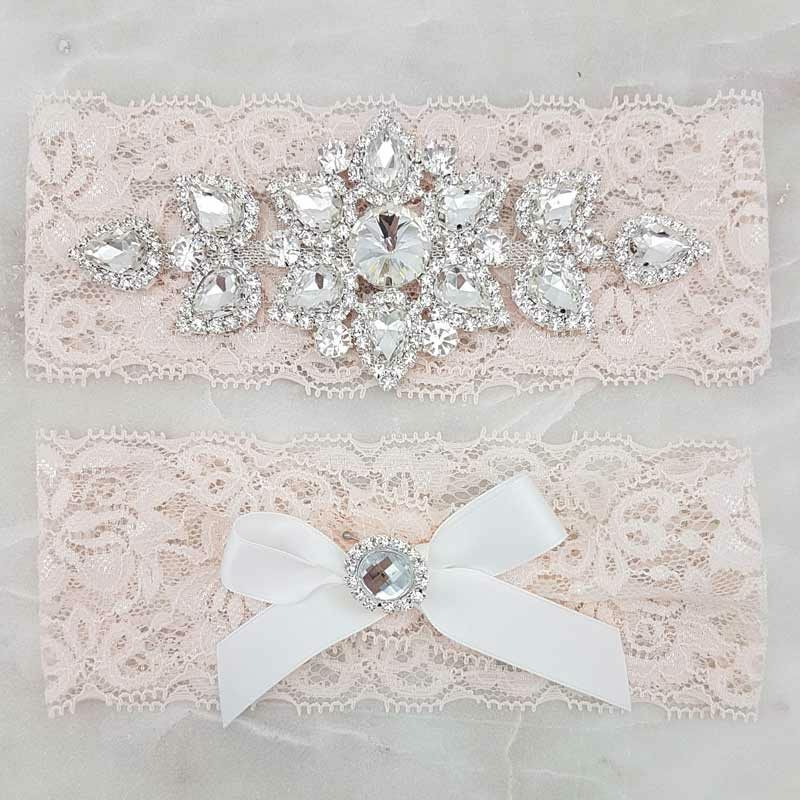 Available in blue, mocha, latte, blush, and dusty pink. 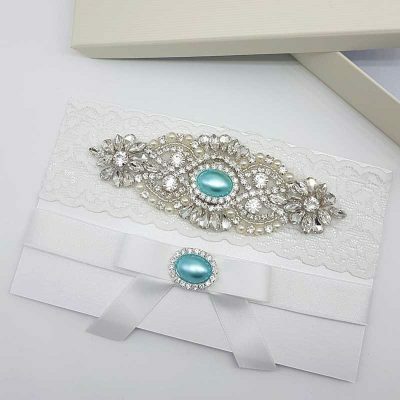 All our garter sets come beautifully packaged in a gift box. 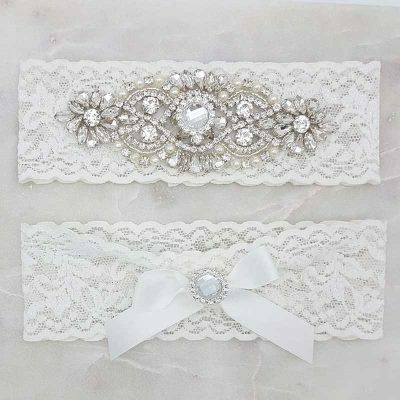 Because these garters are custom made for each customer, please allow up to 4 days before shipping. 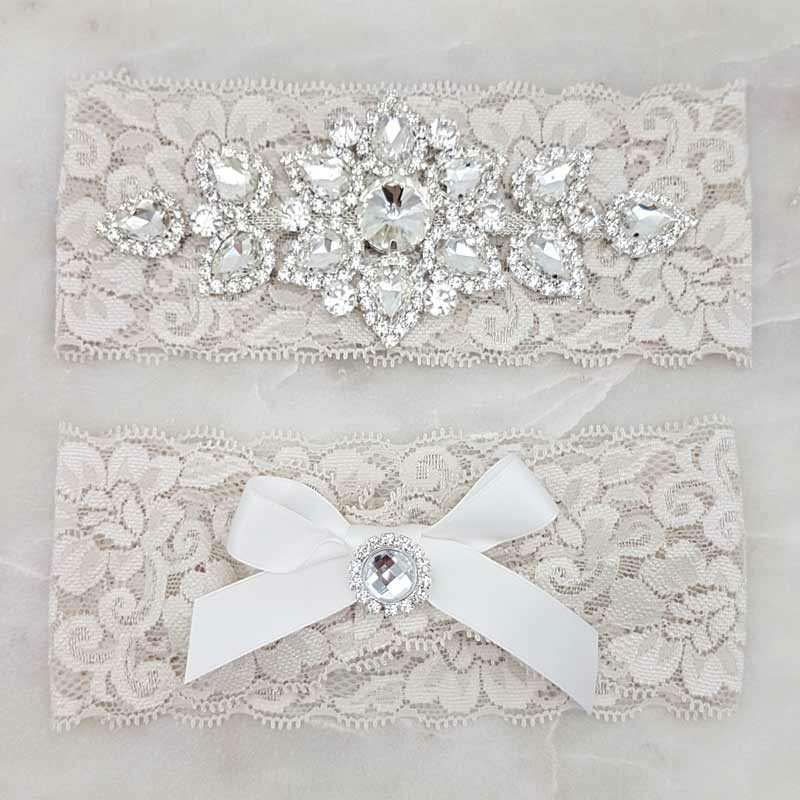 Simply choose your size category by your thigh measurement (where you will be wearing your garter) and we will sort out the rest. 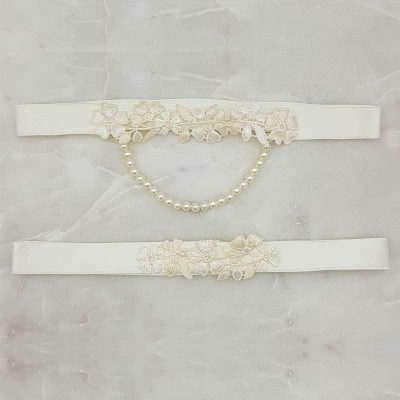 If you need any help please don’t hesitate to get in touch.